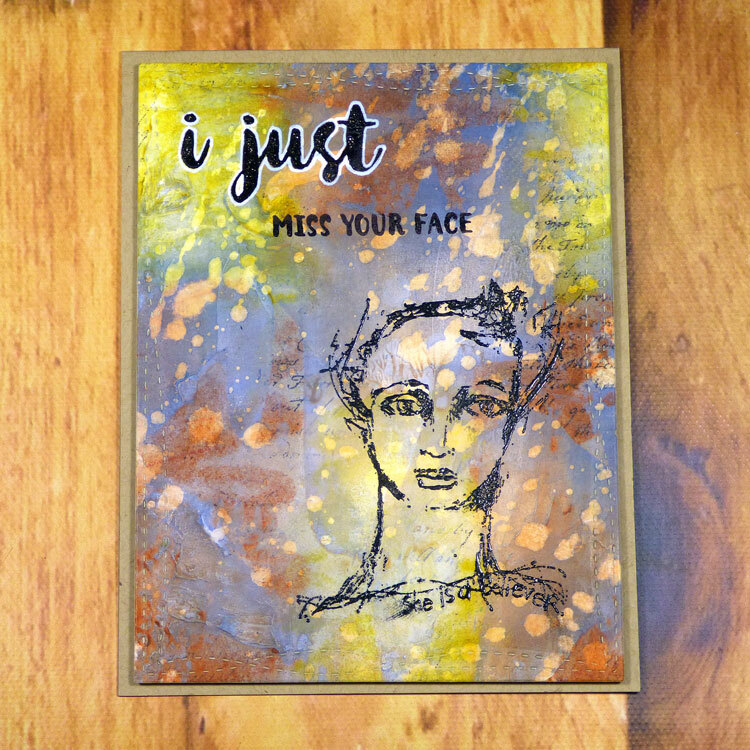 Inky Fairy Designs: CardMaker Tim Holtz Distress Crayon Blog Hop! You should have hopped over here from Pamela's Blog but if not be sure to stop by the CardMaker Blog for a complete list of everyone participating today. Ranger Ink generously provided all of us with a set of Tim Holtz's brand new Distress Crayons to use in our post today. I was SO excited to get this new product in my hands and can't wait to show you how I used them on my card today. This first card I started with hot pressed watercolor paper, some stamping and a thin layer of heavy gesso. Once that was dry, I wet it with the Tim Holtz Distress Sprayer and started adding color with the Distress Crayons. I blended with a water brush and dried it. Then I did some layer with Distress Inks through a stencil and removed some of the Distress Crayon pigment with a baby wipe through a stencil. I love the fun layering this gave my background! With the background completed, I add some simple stamping and a sentiment. 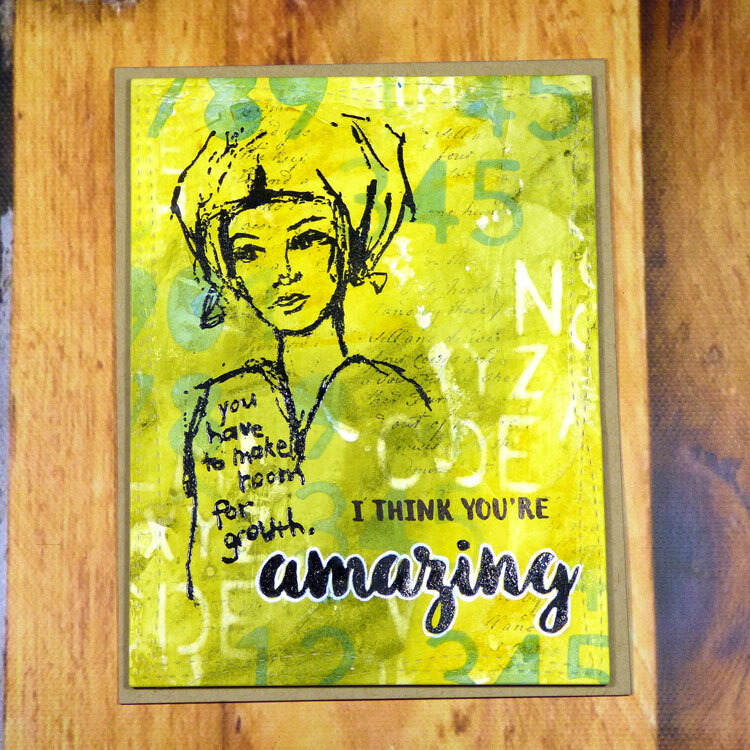 I love these mixed media cards. So fun and fast to put together. For my second card, I started the same way as the first with some hot pressed watercolor, stamping and heavy gesso. I wet it and added the Distress Crayons blending with a water brush. I spritzed more water and let the colors move and blend even further. Once that was dry, I took a blending tool and added some Distress Ink over the Distress Crayons. Then, using one of my favorite techniques I sprinkled some water drops and lifted them with a paper towel. The coolest thing is that the Distress Crayons didn't lift as easily so that color reappeared! 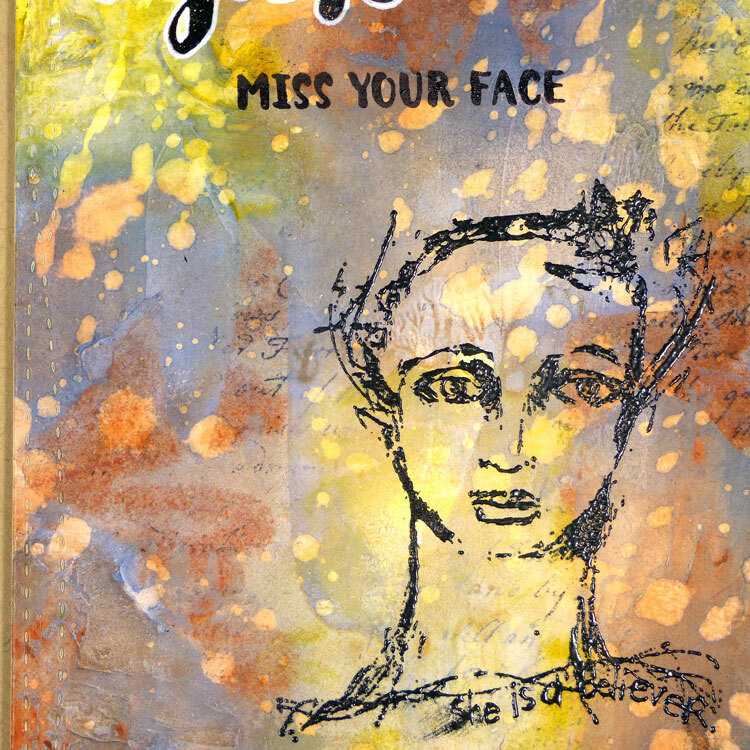 I'm so excited to use this medium in more mixed media and art journals. I tried two different inks for my stamping (a pigment and a dye ink) but neither one seemed to want to dry. I'm not sure why, I'll have to do some more experimenting but for this card, to stop any unwanted smudges, I sprinkled my card with clear embossing powder and heat set so it was good to go. I added some clear Wink of Stella to the bold sentiment and outlined it with a white gel pen. I hope you enjoyed these two cards and the techniques I shared. I know so many of us have been intrigued by this new medium to the awesome Distress line of products and I encourage you to give them a try yourself. To see more on these techniques, I filmed this video for you. 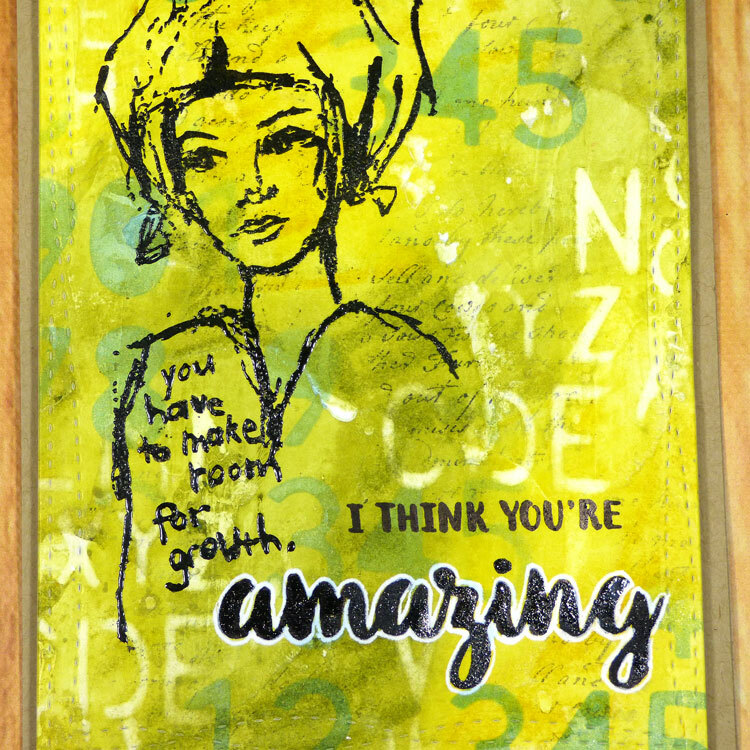 Be sure to hop on over to Dawn's blog now for even more inspiration using this awesome new product! I love the white gel pen around the black !! So good. Great cards, excellent techniques, thanks ! Fun cards. Love all the wonderful layers, great tutorial video too! Definitely a thumbs up. Very cool. Love all the different layers and depth you created. And love the white around the black sentiments too. Great ideas! Wow, awesome cards and super video tutorial. 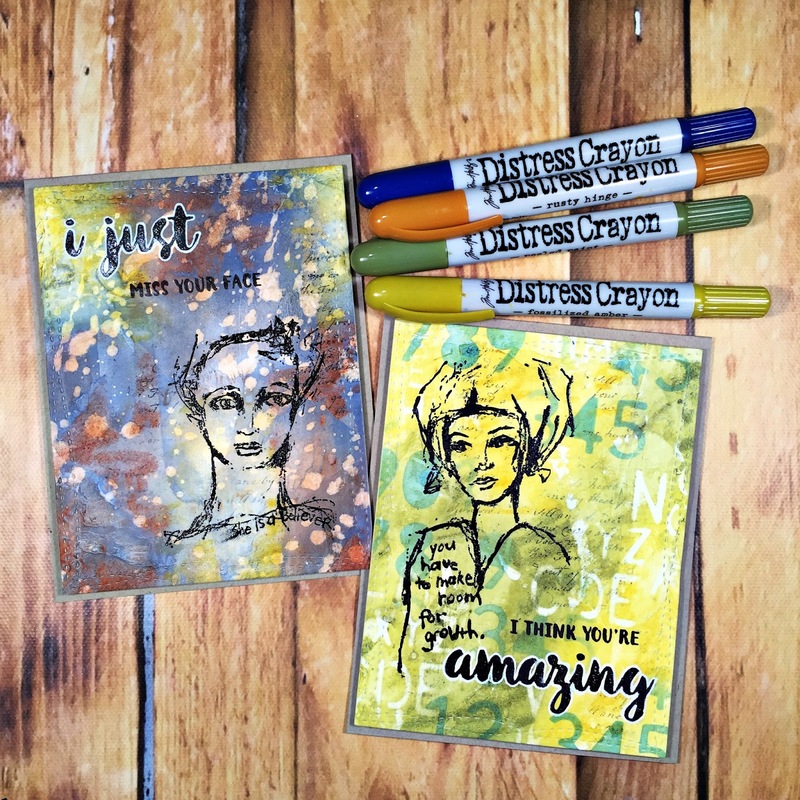 Awesome backgrounds with the Distress Crayons! Can't wait to try them! Amazing cards! Can't wait to try with my face stamps! The layers you were able to achieve for your backgrounds are lovely!! Lots of fun details with those wonderful crayons. What cool backgrounds you created!! And your colors... another set I need! These are wonderful. I love your artsy style. Well done! Such a cool technique using these crayons! I love your artsy cards :) I have a question though seems like the crayons still capes off easily when it react with water even after you heat set it, is there a way to make it permanent on the paper?